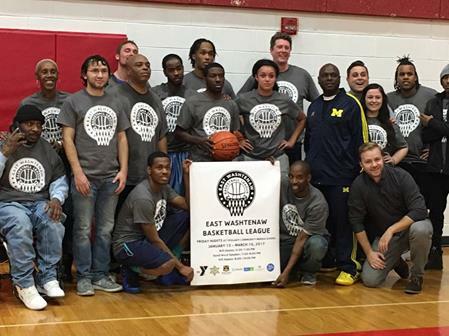 The Ann Arbor YMCA, in collaboration with the Washtenaw County Sheriff’s Office, Washtenaw County Parks and Recreation Commission and Ypsilanti Community Schools will provide nine weeks of basketball league, April 4-June 8, for Ypsilanti students in grades 6-12. All games will be played at Ypsilanti Community Middle School (235 Spencer Lane Ypsilanti, MI 48198). The program’s mission is to provide enriching programs that connect youth in Eastern Washtenaw County with opportunities to engage with caring adults outside of school and home life. Click here for Registration Form, Waivers, and Code of Conduct form, all of which must be completed and submitted.